It is both an honour and a pleasure to be asked to write about Dr. William Young, whose life and Christian confession is celebrated in this selection of his writings. I could say a lot about Bill at the personal level, for our friendship goes back over 40 years, to the time when he first mentored and argued with a young apprentice philosopher. But I will in general confine myself to some remarks about the pieces that have been brought together in this book. They are not quite representative of all Bill's writings - for there is nothing here from his books or his voluminous correspondence - but they fully represent, without qualification, Bill's theological, philosophical and pastoral outlook, which has remained pretty constant over a long life-time. Theologically, Bill stands unashamedly in the tradition of the Reformation in his commitment to salvation by grace through faith, and in the sufficiency of Scripture for all matters of faith and practice. He gives his own special emphasis to each of these principles. While not in any way minimizing the accomplishment and application of redemption he lays particular stress on its decree, its origin in the Father's electing and predestinating love. Bill is a decretal theologian, or perhaps it is more accurate to think of him as a decretal thinker. It is God's eternal decree that establishes all contingent truths and accounts for their consistency. Bill is a foe of any appeal to free will as initiating or unaidedly cooperating with God's grace. And in his appeal to the sufficiency of Scripture he in particular upholds, and has fought for, its sufficiency for the ordering of Christian worship. Throughout his long career he has championed 'purity of worship'. This has set him apart not only from the 'whatever Scripture does not forbid is permitted' approach of Lutheranism and Anglicanism but also from the unashamed pragmatism of the modern evangelical church. Bill is a strongly 'counter cultural' Christian. However, this strong commitment to Reformation principles is not only founded on firm adherence to Scripture itself but on a recognition of the theological achievements of the Patristic and Scholastic eras, particularly those of Augustine, Anselm (a 'genius') and Thomas Aquinas. Bill recognizes that the Reformation was a re-formation of the Gospel message, and not a revolution. The Reformers conserved and endorsed their Christian past wherever possible, and Bill does the same. Bill's overall outlook is quite remarkable, if not at present unique. For his natural gifts and God's special grace have enabled him to combine the study of philosophical issues with a deep interest in the theology of so-called 'High Calvinism' - of the Puritanism of Old and New England, the Covenanting tradition of Scotland, and the Reformed Scholasticism and 'precisionism' of the Netherlands. Bill's series of articles on the Puritan Principle of Worship, and several of his addresses, as well as his discussion of Gordon H. Clark's view of saving faith, give the reader a sense of how thorough, familiar and utterly sympathetic is Bill's acquaintance with this literature. One can well imagine him seated around the table with Samuel Rutherford, William Twisse and Willem à Brakel, for instance, and discussing with each of them - in English or Dutch, as necessary - the heights of supralapsarianism, or the gross follies of Arminianism or Molinism, or the painful misunderstandings of R. T. Kendall. Bill is completely loyal to this tradition and thus a true theological conservative, increasingly out of sympathy with the changes that have taken place in evangelicalism and in Reformed theology during his lifetime. Besides such writers as these, he has other favorites - the epigrams of John 'Rabbi Duncan, the eccentric Scottish Hebraist of the 19th century, and the philosophy of Jonathan Edwards. Bill's appropriation of Edwards on the freedom of the will is characteristic of his attitude to philosophy more generally. He employs reason in elucidation of and in defense of the faith. Not-infrequently he can be found drawing attention to a logical fallacy in some view he is contending with. But at the same time he is in no sense a rationalist, for he does not require that the articles of the faith must first meet some a priori standard of reason or reasonableness in order to be acceptable. Bill has too sharp a sense of the noetic effects of sin to succumb to this temptation. In this sense philosophy is subordinate to faith, but not because matters of faith cannot be reasoned about. 'I do not know where to draw the boundary line between Christian philosophy and theology. I must confess that if people want to accuse me of being a theologian and not a philosopher when I proceed along these lines, I am willing to plead guilty, and it does not matter too much what label one uses, as far as I am concerned. And this, too, is in the spirit of Augustine, no doubt.' I believe this to be Bill's dominant and enduring view of the relation between theology and philosophy. Bill is emphatic on the primacy of the intellect. So Christian theology is not exempt from intellectual study, for whatever else God's special revelation is it has the character of propositional truth: it propounds truths for our acceptance. Our normal thought processes and standards of argument are not bypassed in some mystical way, but are to be thoroughly engaged in understanding and analyzing the truths of Holy Scripture. In order to receive the testimony of Scripture with faith, the illumination of the Holy Spirit is indispensable; but the Spirit illumines the propositions of Scripture, revealed truth. There is thus a strong evidential element in faith. The other feature is Bill's insistence on the objectivity of the claims of Scripture against the increasingly skeptical and relativistic outlook of the age. Yet there is nothing in Bill of that supposed antithesis between propositional and personal truth. The proposition is the vehicle of truth, and reliance on the truth of some of these propositions can bring a person to the feet of the Almighty. 'While readily realizing the riches of scriptural law addressed to the will and scriptural poetry captivating the affections, we must insist on the primary of scriptural doctrine addressed to the intellect, a doctrine at the same time grounding and pervading the affective or volitional aspects of revelation. Scriptural doctrine is truth expressible in propositional form.' Bill seems to have had little sympathy with much of the recent 'Christian philosophy' movement, partly, I imagine, because of its almost uniform emphasis on indeterministic free will and also because of its failure to appreciate and conserve the Augustinian and Reformed theological heritage. Bill also has had an enduring interest in systematic philosophy, in metaphysical systems, as can be seen from his admiration for Herman Dooyeweerd, interest in Hegel (in his book Hegel's Dialectical Method) and in his appreciation of Ludwig Wittgenstein's Tractatus, 'a metaphysical masterpiece despite its conclusion that metaphysics as well as ethics and aesthetics is nonsensical'. Bill projected a book on Wittgenstein at one stage but unfortunately it never materialized. His enduring interest in the Austrian philosopher can be seen in his short paper on Wittgenstein and predestination. However it is in this region, the relation between systematic philosophy and theology, that one may detect some change or development in Bill's thinking. Because of the systematic character of Reformed theology there is a natural affinity between it and philosophical systems of ideas. Early on in his career Bill put a good deal of energy into the idea of a 'Reformed philosophy'. There is his early monograph, Toward a Reformed Philosophy (1952) (though even here his interest in and sympathy with Puritans such as Theophilus Gale is evident). And there is his translation (with the late David H. Freeman) of Herman Dooyeweerd's A New Critique of Theoretical Thought, undertaken in 1951, a monumental achievement. Perhaps it was under the influence of Gordon H. Clark during Bill's time at Butler University, ending in 1954, that the idea of a philosophical underpinning of the Reformed faith began to seem less attractive, and sola scriptura reasserted itself in all its purity. It is hard to be sure. But what is clear is that his disenchantment with some of the theological consequences of such an approach, particularly the implied appeal to the idea of the covenant as an overarching organizing principle of thought, has become clearer and more public as time has gone on. In his important paper 'Historic Calvinism and Neo-Calvinism' he sees the intellectual father of Dooyeweerd, that 'great man' Abraham Kuyper, as perhaps unwittingly initiating a new movement, 'Neo-Calvinism'. It has two emphases, the doctrine of the presumptive regeneration of infants, which for Bill strikes at the heart of experimental religion and at the preaching of the law preparatory to the gospel, and the doctrine of common grace, which has given birth to 'cultural Calvinism', an emphasis on the 'christianizing' of culture and a marked shift away from the centrality of the sola gratia of the Gospel. The new movement derides personal religion as 'pietism'. 'That the Puritans separated religion from daily concerns is a base slander, but the Puritans never succumbed to the error, pointed out by Dr. Patton, as quoted by Dr. Machen, of making much of applied Christianity without being concerned about having a Christianity to apply.' The important theological principle here is that for Bill the natural law - the obligation mankind has to worship and serve the Creator - precedes any covenant, both the covenant of works and the covenant of grace. It is only on this basis that the covenant of works can be made intelligible. In this article he also briefly makes serious criticisms of Dooyeweerd's system and its tendency to theological agnosticism. Pastorally, in his sermons and some of his lectures, the striking thing is Bill's insistence on the need for personal religion to be 'experimental'. A person's professed faith in Christ should be put to the test: it is not sufficient for that person to conclude that he is a Christian merely from the fact that he believes that he is. The New Testament teaches that a person should examine himself (1 Cor. 11:28), take heed (I Cor. 10:12), judge himself (1 Cor. 11.31), abase himself before God (Luke 18:15), and be watchful (Matthew 25.13). The presumptuous 'easy-believism' of the modern church ignores this teaching at its peril. For Bill it is central to Christian religion, both in its private and public expressions. Paradoxically, God-centered worship provides opportunities for solemn self-reflection of this sort, the wisdom of knowing God and ourselves. Is this subjectivism at odds without Bill's pronounced objectivism in theology? Not at all. It is concerned with the impact of objective truth on the soul, on the self. Is it self-absorption? It may degenerate into that, but in its best expression it is concerned to discern the life of God in the soul of man. For Bill, Christian theology is not 'dry', merely a form of words or a system of ideas. Hence both his relief and delight (in his review of Gordon H. Clark's Sanctification) when he discovers evidence in that book of a concern for such 'experimental Christianity'. It is a privilege to be able to commend Bill's Selected Works to a wider readership. In the September Analysis 6 (‘Calvin’s Stroke of Genius’) we noted that John Calvin habitually thinks of the relation between justification and sanctification as two distinct but inseparable gifts of Christ to his people. Justification does not cause sanctification even though it is a necessary precondition of it. Both justification and sanctification are directly given by the Mediator. We noted that this stroke of genius makes apparent a biblical idea of wonderful power and simplicity. The risen and ascended King gives gifts – chief among them free justification, and free sanctification, bound inseparably together. It is interesting that although Calvin is called (by B.B. Warfield) the theologian of the Holy Spirit, in the passages on the double grace quoted in Analysis 6 there is little or nothing said about the Holy Spirit as the communicator of this grace. Calvin does not deny this, of course, but at this point he is resolutely Christocentric. This wonderful idea is not for Calvin a mere clever scholarly insight that is to be noted and then filed away. It occurs all over the place in his writings: not only in the Institutes, but in his personal confession of faith, catechisms, his work on the sacraments, and his commentaries. It may be said to be a central feature of his theology, a key theological idea. However, in my estimate this stroke of genius has not been sufficiently appreciated by subsequent Reformed theology. In fact, it has been largely lost sight of, and is most certainly not central to our thought about redemption. In expounding the relation between justification and sanctification the personal, sovereign agency of Christ dispensing a ‘double grace’ is not the controlling idea. Would not a lot of spilled ink and raised dust caused by subsequent agonised discussions of the relation between justification and sanctification (still continuing, of course) have been unnecessary if Calvin’s biblical emphasis had been at the forefront? What a lost opportunity! Why did this insistence on the distinctness but inseparability of justification and sanctification disappear, or at least become muffled, as Reformed theology developed? It is not obvious what the answer is, but here are two suggestions. The first is that in the development of the locus style of theological exposition, the locus 'of justification' came (naturally enough) to be treated separately from the locus 'of sanctification'. The impact of the Counter-Reformation was being resisted. So Turretin invites us to think of justification and sanctification as two distinct topics, stressing the differences between them. (Institutes II.16, 17) In his Systematic Theology Charles Hodge also has separate chapters on justification (II.17 ) and sanctification (II.18) and, following Turretin he also stresses how justification and sanctification differ. Hardly a word, so far as I can see, on what they have in common. As regards the work of Christ, no doubt because of the threat posed by Socinianism, Turretin and his Reformed contemporaries almost wholly focus on Christ's satisfaction for sin. (Institutes, 14, 8-14) There is nothing on justification and sanctification as the kingly gifts of Christ to his church. Similarly Charles Hodge. (Systematic Theology, II. 6-9). In the recent Systematic Theology of Robert Reymond (Second Edition, 2001), the nearest that the author comes to Calvin's view is in his remark that definitive sanctification is a 'concomitant' act with justification and adoption. (710) The idea of concomitance plays an important part in Reymond’s schematisation of the ordo salutis (711), covering both purely logical and also chronological sequences. But concomitance is clearly much weaker than the relation that Calvin has in mind. ‘Concomitant’ means, ‘an accompanying thing’. (OED) Prior to that, Reymond has one brief word on the inevitability of the sanctification of those who have died with Christ and have risen with him. (678) Then he reverts in time-honoured fashion to considering each act or process separately. He unintentionally conveys the impression that these acts and processes, being separable in thought, are separable in fact, mere concomitants. Nowhere is the inseparability of justification and sanctification clearly asserted. Nowhere is their unified relation to the person and work of Christ emphasised. When Humpty Dumpty has had a great fall it is very difficult to put him together again. Finally, let us glance at the Westminster Confession. (This, I know, is like walking barefoot on broken glass. But let’s – for once - nerve ourselves.) The Confession, in its treatment of the Mediatorship of Christ (Ch.8), states that Christ purchased not only reconciliation, but an everlasting inheritance in the kingdom of heaven, for all those whom the Father hath given unto him'. (8.5) ‘Reconciliation’ is a term which may be used narrowly, as equivalent to justification, or more comprehensively, to cover justification and sanctification, but the Confession does not say which. Was sanctification something that Christ purchased, and is it inseparable from justification? The Confession does not say, though it does go on to state that Christ communicates to his people what he has accomplished for them, (8.8), and so to imply that he purchased and communicates sanctification too, and also proceeds (famously) to say that the faith alone justifies is never alone in the person justified. (11.2) It has separate chapters on justification and sanctification. The brief linking chapter, ‘Of Adoption’, links justification and adoption as concomitants. Nowhere is the inseparability of justification and sanctification clearly asserted. 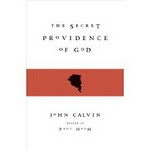 Nowhere is Calvin’s idea of the one two-fold gift of the Saviour given prominence. The statement in 8.8 is the nearest the Confession comes to Calvin’s double gift. Is it not fair to say that at this point the bugle is giving a somewhat indistinct sound? The second, connected, suggestion is that in developing the habit of distinguishing 'redemption accomplished' from 'redemption applied' Reformed theology has tended to lose sight of the reason for the inseparability stressed by Calvin. It is as if traditional accounts of the work of Christ stop short. His atonement is given prominent treatment. But what has this atonement procured? Satisfaction, pardon. This above all things has been emphasised, against the Socinians. Anything else? To answer that question it is implied that we need to move on to ‘application’, and that’s where the theologians take us. But it is impossible to apply what has not been accomplished. So properly to do justice to the application of the work of Christ, more attention ought to be given beforehand, as part of our understanding of the work of Christ, to what gifts he has procured. Then, and only then, do we have warrant to move from what Christ has accomplished to its application. So what binds accomplishment and application together? In the standard treatments of this question the answer is not evident. Sometimes, as with Reymond, it is union with Christ. (736-9) Sometimes it is the covenant of grace (Westminster Larger Catechism 57). Calvin is ringingly clear: it is the grace of our Lord Jesus Christ that holds them together. But the tradition’s repeated stress on the distinctness of justification and sanctification pulls in the other direction, making it easier to believe that they are merely contingently connected, only concomitants, which is fatal to a proper understanding. The theological habit is to think of these two aspects of redemption abstractly, and separately. It is ‘justification’, not Christ the one who justifies. It is ‘sanctification’, not Christ the one who sanctifies. And so the opportunity to hold Christ at the centre, the sovereign dispenser of both graces, is passed by. Tragically, the giver of these inseparable gifts is allowed to slip between them and is lost from view. The nearest thing in the other direction that I have come across is in Cornelis Venema’s Acceptance in Christ (2006). Here, at last, are references to the inseparability and yet distinctness of justification and sanctification. (e.g. 71-2, 77, 258-9, 285, 306) But they are scattered, not central to the discussion, and they are not unified, as with Calvin, by the thought that they are two-in-one gifts of the King. 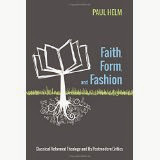 Calvin’s evangelical view of sanctification (as it might justly be called) is worth stressing in the light of the moralism of the ‘new perspectives’ on Paul, which Venema's book is about. The Reformed faith, with its emphasis on the ‘third use’ of the law, always teeters on the brink of moralism. But evangelical sanctification should put an effective brake on that. Easy-believism? Calvin’s double-gift view is the answer. A moral about logic: we must resist the tendency to think that because two ideas are separable in thought they are separable in fact. Indeed we must stress the idea that though separable in thought justification and sanctification are inseparable in fact. Had Calvin had the good fortune to read Lewis Carroll he might have put the point about inseparability but distinctness this way: the grin of the Cheshire cat is distinct from the cat itself. The grin has ‘peculiar qualities’ which the cat itself does not have. The grin lasts a minute but the cat lasts for longer than that. The cat has a tail but the grin does not. Nevertheless, no cat, no grin. No grin, no cat. So it is with justification and sanctification. Justification is not sanctification. Sanctification has properties, ‘peculiar qualities’ (as Calvin put it), which justification does not have, and vice versa. Sanctification is not justification. Nevertheless, sanctification cannot exist without justification, even though (and here the analogy with the Cheshire cat breaks down, as analogies are wont to do), it is not caused by justification. So, (crucially) no justification, no sanctification. No sanctification, no justification. Each is one aspect of the one double-aspect gift of the King.